I’m not a patient person but I’m working on it. 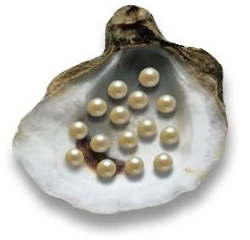 Here’s some pearls. Take some. As most of you know, I’ve been whining talking about not being inspired lately. I’ve read the same from some of you. That feeling of “eh,” or as others say: Meh. I don’t know if it’s the heat, the funky doldrums I’ve found myself in lately or just becoming very impatient with myself to shell out some pearls of wisdom. I’ve started posts, then read them and think — Nah, you’re not posting that! So…I’ve waited until I could deliver something that may resonate with all you talented, nice bloggers that take time out of your day to make a comment. Sometimes you just have to wait it out, let the dust settle. I don’t know if any of you have journaled throughout the years. I have. I’ve got so many of them since I was about thirteen. I have no idea what I’m going to do with them all. Every once in awhile, I’ll pull one out and read about the thoughts, trials and tribulations that, that other me went through. Some of them were doozies and I read her now and feel very loving and patient toward her — now. She berated herself a lot. She expected very high standards of herself but not of others. She was far more patient with people than she was with herself. When she “messed up,” she treated herself with derision and disrespect. Not others, mind you. Just herself. I realize that a lot of the things I went through was because I wanted my life to go this way or that way and I made the most “mistakes” when I tried to forcibly steer it. Even if something wasn’t right (and Good Lord, the signs were there), I’d plunge headlong into it anyway because I didn’t have the patience to wait. But, as I’ve gained wisdom, compassion and PATIENCE I began to see a pattern. Once you see that — a pattern and become attuned to why you do the things you do, you can change it. It takes awhile, but you can change it. And you learn so much. Patience has a lot to do with that. And part of being patient is to know that doing nothing at all until you receive some sort of feeling, sign, voice — whatever — it’s different for all of us. But it does come eventually, that knowing of what you need to do. Ralph Waldo Emerson said, Nothing can bring peace but yourself. Have you ever thought you have to defend your beliefs, your opinions or for lack of a better word, fight, to get your message or who you are across to someone? It never works out when you approach it from a defensive stance. It works when it comes from a place of peace, patience. One of the best things I ever read (and I’ve read all sorts of things from different religions, viewpoints, etc.) and seriously, they all share the same common thread — it’s about that — patience, love, acceptance and peace. Once you acquire that, no one can take away it away from you. Buddha said something like if someone’s trying your patience, trying to undermine you or make you feel as if your beliefs (which is who you are) are wrong, then you should just step back and answer them with peace. In other words, have the strength and patience to say: You may be right. And let it go, walk away. Whatever the argument is or the attack on you or your character. You’re not agreeing, you’re just diffusing the anger. And really, when someone attacks you or your beliefs, it’s coming from a place (theirs) of anger and misunderstanding. It’s difficult, but it works every time. That simple, You may be right. Try it. You’ll find that all that toxic angriness just dissolves and you walk away, still having those things you hold dear intact. Words have weight and I’ve learned that patience is one of the best gifts I can give others and myself. A dear friend who’s not in the physical world with me anymore (the anniversary of losing him was last week); that probably has much to do with how I’ve been feeling lately. It crept up on me — that day. I still talk to him. He was my best man at my wedding. (yeah, hubby had one and so did I — this friend was with me and my bridesmaids in all our pictures) and I miss him. He was one of those friends, the kind that stick with you no matter what you’re going through. He was right. I hope that if you’re struggling with a decision or something in your life today, you’ll have the patience to wait for that clarity you need. Be patient, it’ll come. Happy “late” Monday everyone and thanks for having the patience to read to the end. I’m sorry about the loss of your friend, B. Anniversaries can be very difficult. “You may be right.”—I love that. A perfect response, because, you’re right, a defensive stance is usually unsuccessful and just adds fuel to the fire. I never kept journals. Now that I’m writing, I wish I would have, just to provide clearer details of my “past” life. Husband is so patient. It blows me away. Me, not so much. I’m getting better with age. 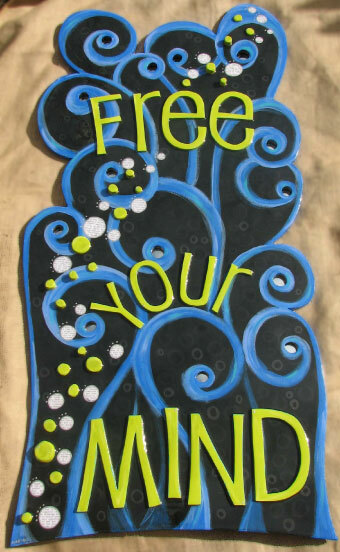 Having beaten my head against the wall for years and years has helped too. “You may be right”. That’s so simple, yet so profound. I don’t know if I can bring myself to use the “r” word when I KNOW I’m the right one. 🙂 Maybe I can settle on just not getting into some of those conversations to begin with. They usually never end well. I know what you mean, Fish. Hubby is the same way — so patient, he has to be, being married to me! :). I don’t know…I don’t think it’s relinquishing your power or “giving in.” And you’re always right — to you anyway. ;). Thanks for stopping by to read and for your comment! It is hard to be patient with yourself.. isn’t it? We are so hard on ourselves… a trait we share Brigitte. So take a big step back and chill baby. Ruminate and then regurgitate when you are ready 🙂 Until then be as mindful as you can muster. Hi Audra! Thank you. It is very hard to be patient with yourself sometimes. Seems as if we share the same “affliction.” I’m way better at giving that advice than I am living it. ;). So appreciate your comment. I’m gonna go chill, baby. :D.
Honie, yep I have those starts and stops myself in some of my journals. That’s a great insight you’ve given here — “what was I so upset about?” Wise words. And it’s funny reading about some of those times — funny and bittersweet but all of them helping us grow; you’re so right and thank you! Uh boy do I relate to trying to force things to happen. I always say I got b*tch slapped by life, because life wasn’t having it! Whenever I relax and let go, it’s so much better. The issue is maintaining this. I’m getting better as I get older though. Happy belated Monday! Sandee — ha! You’re right though and the older I get, the better it gets — patience-wise. You too and thanks! I’ll have to try that “you may be right.” Such a simple few words, but they carry a lot of weight. Maybe as we move into September we’ll all lose some of our “mehness.” I’m ready! That is one of my all-time favorite quotes and something I have to remind myself of alot. I get where you are. I’ve been melancholy and longing for more for a while, and I’m almost to the point of doing something about it. I’m at a turning point and I don’t take that lightly. No one should. There are no hardships to speak of, but I’m just tired of the same old thing and my world needs some shaking up. Mainly it’s all career stuff that I’m speaking of. I’ll pull through as I always do, and I’ll come out ahead of where I am now. Your blog is uplifting, and I like that. Not preachy, but your messages always hit home. Thanks for that! Hi Szabo, so nice to see you here! Those big career changes are difficult and I think all of us come to those places in our lives where we feel as you are feeling now (I understand, believe me!!). As “cliche” as it sounds I think everything we go through nudges us to do other things when we finally feel that NOW is the time, you know? I wish you well as you make those decisions for yourself. What a grand compliment you’ve paid me — thank you. I’m so glad you found something uplifting here — if so, then that in turn “uplifts” me more than you know. Thank you so much for that. Oh, and you may be right! Genius. I am going to try that out on my unsuspecting hubby tonight. He will keel over with shock no doubt! Yes, it’s a good one and it disarms people sometimes. ;). Hi Sara — thank you and I agree with you. Yes, we Taureans are patient I suppose to the point where we almost have to be “kicked” to change a situation, you know? Then when we do make that decision, we go — full force! I think, it’s exactly as you’ve described — flow, baby, flow. That’s the difficult part for me. Thank you, friend. Hi N, your mother is right! Patience hasn’t been one of my virtues either, but the older I get the more I’m focusing on trying to be. It’s like anything else I suppose, the more you consciously practice it, the better you get at it. I’m so glad you enjoyed the post and here’s wishing you patience just when you need. God bless you as well! Thank you! Hi Brigitte, the loss of a close friend is a real body-blow. Don’t worry about taking time to regroup. Anniversaries are tough. Be gentle with yourself, you’ll get there when it feels right. I’m interested in this “You may be right”, although I admit that usually when someone attacks me I just react. I’m going to try it, practice it and take your advice. It’s never too late to learn and improve. Thanks also for the “be who you are…”. Hi BB, it is and so appreciate your warm sentiments. I’m like everyone else — I lose my patience but it doesn’t feel good when I do, you know? It’s that stopping a moment, taking a deep breath and walking away with your good feeling intact that’s more important than exploding or losing your patience. We’re human and we mess up sometimes but learning is the most important thing, right? Thanks so much for your sweet comment and here’s to being who you are, staying true to yourself and being patient when you need it the most. ;). #1: I LOVE the “You may be right”. I’ve noticed that people who are calm inside their soul, are hard to people to “get riled up”. They don’t need to defend, or fight. I keep working toward this, but there are some (like my husband) that can really get me going! Hi Cathy — thank you. I have to remind myself often of it! And I’m like you, I’d rather diffuse the arguments and walk away happy. So glad it resonated with you and thanks again for your kind comment — it’s so appreciated! So nice your friend still walks with you…I’m lucky that way, too. 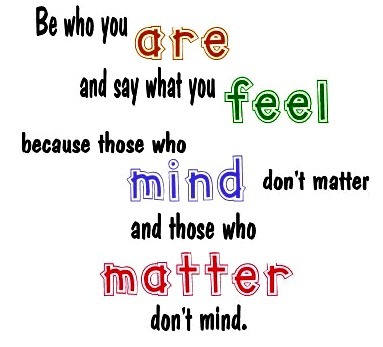 That final quote, “Be who you are and say what you feel, because those who mind don’t matter and those who matter don’t mind” is one of my all-time favorites. I struggle with it, though. Hey Kathy, I know it’s one of my favorites too. Dr, Seuss knew his stuff and I have to work at it myself. Thanks for stopping by! This was a good post with great advice. Sometimes we just have to take things slow even though being patient in today’s world is hard. If my computer even makes me wait for a second, I’m like, COME ON! I just need to take deep breaths. I think you’re right though, with patience comes clarity, peace, and happiness. You just have to work at it one step at a time, right? Hi Lily and welcome. Trust me, I write these things out so I can GET some clarity. And yeah, baby steps, that’s what I have to do myself. Thanks for the follow, new friend. I needed to read this one about two weeks ago, but it all worked out…..I think. I wholeheartedly agree with your wonderful words. Thanks, Lorre! I love your blog.